We have found I Know the Pilot to be the best and most useful tool for making airline bookings. Given the heads-up to the site by an ex travel agent we have made 3 bookings in the past 6 months. One using Scoot Business to Athens and the others domestically on Tiger and Jetstar to Melbourne. We scored great prices each time. Getting the email alerts gives you the tap on the shoulder to make a booking at the best price within your travel window. Jan and Dean Francis, Queensland. 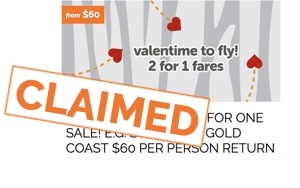 I used IKnowThePilot to score an awesome deal with Tiger Air's 2FOR1 Valentine's Day promotion. 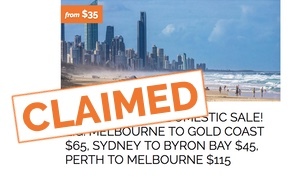 I booked a surprise long weekend to Perth for my boyfriend - two return tickets SYD-PER cost me $300. Such a lovely mini holiday, such a great experience. We're currently keeping an eye out for flights to Europe around Christmas. Huge fan! Stephanie, Australia. I organised a trip from Brisbane to Sydney then Melbourne and back to Brisbane for 3 people. As a single income family it was going to be tough, the flights alone were going to kill us. 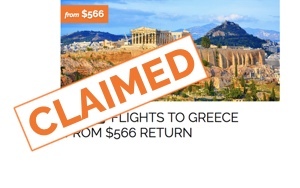 I got onto iknowthepilot.com.au and booked the cheapest flights, my partner friends and family couldn't believe I got such a great deal. I recommend your website to everyone, if I couldn't get those flights at the prices I did we never would have got to see our grandbaby. Cathy, Queensland.